Guiding Question: What are some of the items God created? Procedure: Before class, create game cards. Each card should have either a category or a letter. Create enough cards for each student to have four category cards and five letter tiles. 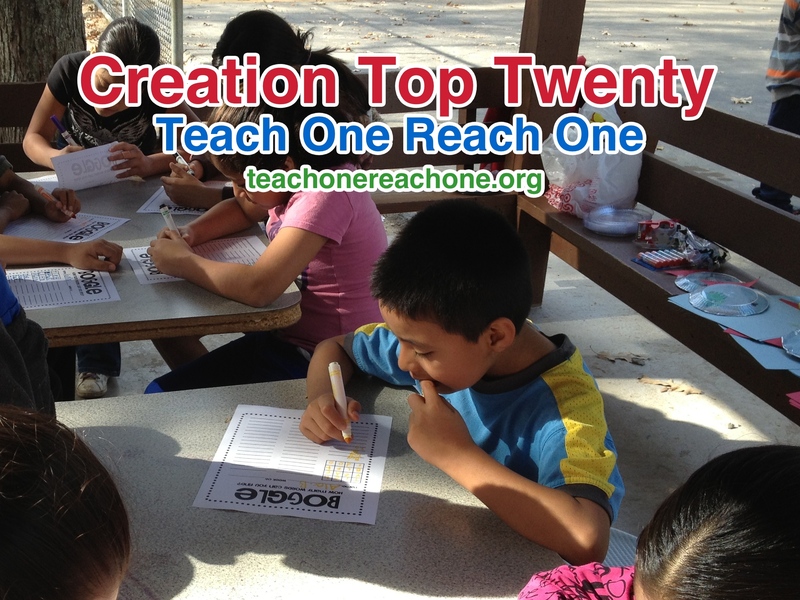 During class, discuss God’s Creation with students. Pass out game cards and direct students to draw four category cards and five letter tiles. After writing the categories and letters on their board, students should turn their board over. Set a timer for three minutes (adjust amount of time as needed) and start it. Students should complete their boards as quickly as possible. The student with the most correctly spelled answers wins that round. Play as many rounds as time allows. How is God involved in the creation of items we call “man-made”? How is God involved in the creation of items in nature today? Supplemental Activity: Divide the students into teams of two or three. All teams receive the same categories and letters. Teams compete to see who can fill in the game board with properly spelled words.